Visitors to the Smithsonian’s National Museum of American History will explore American history through culture, entertainment and the arts beginning Friday, Oct. 19, in the "Ray Dolby Gateway to Culture," which focuses on music and sound and serves as the entryway to a series of installations including DJ Steve Aoki’s turntable and a costume from The Handmaid’s Tale. The "Ray Dolby Gateway to Culture" brings visitors into a series of eight installations centered on sound, stadium and screen, including the Ruby Slippers, which return to view after an 18-month conservation treatment. The first display is "America’s Listening," which focuses on the public’s experience with recorded sound, including five of the innovations that kept them listening: Thomas Edison’s phonograph, Alexander Graham Bells graphophone, Emile Berliner’s gramophone, Ray Dolby’s noise reduction system and Apple’s iPod. This display leads to the Culture Wing’s landmark object—a 14-foot stained-glass window, one of four that originally graced the tower of the Victor Company’s headquarters in Camden, New Jersey. Its image of "Nipper," the dog listening to his master’s recorded voice, became the Recording Corporation of America’s trademark image. At the center of the floor is the Nicholas F. and Eugenia Taubman Hall of Music with side-lobby displays highlighting the museum’s jazz and classical instrument collections. Outside the music hall are two cases highlighting recent acquisitions to the arts and culture collections that currently display Aoki’s turntable and Elisabeth Moss’ The Handmaid’s Tale costume. A red 1923 Yankee Stadium ticket booth highlights baseball as one of the country’s favorite pastimes. In "Virtual Landscapes," visitors can explore America through the imagery depicted in popular video games that project across screens located at the rear of the floor. The space feature seating areas with charging stations. A vivid mural, commissioned by the museum from the Washington, D.C., studio of No Kings Collective, envelopes the full floor with color and patterns to illustrate the concept of American culture. The Ruby Slippers star in their own gallery and will be on view in a state-of-the-art display case. A prop wand used by Billie Burke who played Glinda the Good Witch in publicity photos for the popular 1939 film The Wizard of Oz is on special loan to the museum through November 2019. And the museum’s Scarecrow hat will be shown through February 2019. Black-and-white stills from the movie and a vivid green-based mural evoke the world of the film, taking audiences from black-and-white Kansas to the Technicolor world of the Emerald City. "By recognizing and tapping into America’s long-standing power of culture, entertainment and the arts, visitors will discover a range of new and unexpected ways by which we can all engage in, improve and expand the promise of our democracy," said Catherine Eagleton, associate director of curatorial affairs at the National Museum of American History. "The power of culture will help our audiences discover a range of new and unexpected ways by which we can all engage in, improve and expand the promise of our democracy." Opening day, Oct. 19, will feature a public celebration of the return of the Ruby Slippers after an 18-month research and conservation treatment. Museum visitors are invited to wear Oz-inspired costumes and red shoes, participate in an photograph at 12:30 p.m. Friday and Saturday to be shared on social media, share movie memories on a "Talk Back Board," explore the new Ruby Slippers pop-up shop and purchase a ruby red velvet cupcake in the cafes and see The Wizard of Oz Oct. 19–21 at 1:50 p.m. or 4:10 p.m. each day in the Warner Bros. Theater (tickets are available for purchase at the museum’s box office or online). The public celebration for the Nicholas F. and Eugenia Taubman Hall of Music will include jazz and classical concerts; Friday night, Oct. 19, will feature "The Evolving Jazz Culture" at 7:30 p.m. Ticket information is available at https://americanhistory.si.edu. The Smithsonian Chamber Music Society performs Schubert and Schumann Oct. 20 and 21 in the Hall. Tickets are available through SmithsonianAssociates.org/chamber. A major exhibition, "Entertaining America," is scheduled to open in 2020 and will explore American history through the long-standing power of entertainment and examine the deep and enduring influence of the nation’s entertainment. 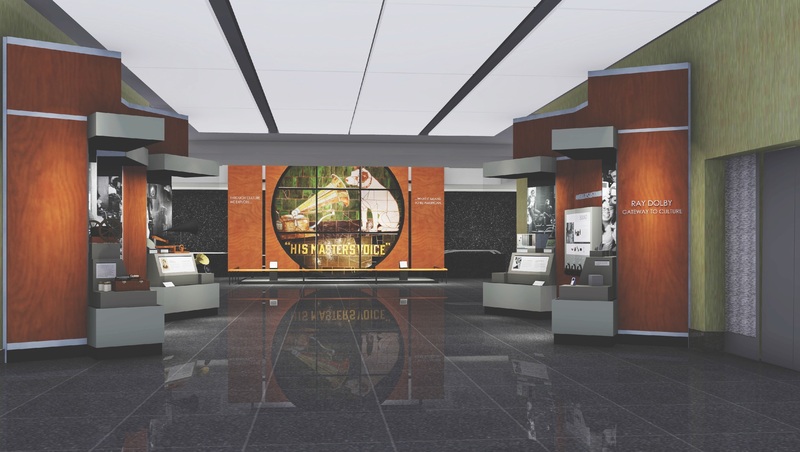 Within the Ray and Dagmar Dolby Hall of American Culture, the 7,000 square-foot exhibition will show how entertainment brings Americans together, shapes them and provides a forum for important national conversations about politics, society, culture and what it means to be an American. The exhibition will focus on the culture makers who broke barriers, changed American sound and transformed sports, movies, theater and television—and the national audience. In an immersive introductory experience, the simply stated key message, "Americans Love Entertainment," will be reinforced with exciting media elements to show why entertainment matters. Through incomparable collections, rigorous research and dynamic public outreach, the National Museum of American History explores the infinite richness and complexity of American history. It helps people understand the past in order to make sense of the present and shape a more humane future. The museum is located on Constitution Avenue N.W., between 12th and 14th streets, and is open daily from 10 a.m. to 5:30 p.m. (closed Dec. 25). Admission is free. For more information, visit https://americanhistory.si.edu. For Smithsonian information, the public may call (202) 633-1000.